Specialty: Director Huang is good at medical oncology, especially treatment for breast cancer, lymphoma. From September 2007 to October 2008, Director Huang engaged in advanced studies on medical oncology and invasive technology at Sun Yat-Sen University Cancer Hospital. In 2009, Director Huang was awarded “Outstanding Youth of Medical Technology in Lianjiang”. In 2011, he was rated as one of the “Ten Outstanding Young Doctors in Zhanjiang”. 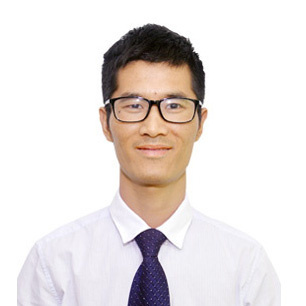 His research project, The Efficacy Correlation between Recombinant Human Endostatin and GSTP1 Mononucleotide Polymorphism of Advanced Non-Small Cell Lung Cancer, won excellent achievement prize of science and technology program in Zhanjiang. He has linear accelerator therapist and CT physician qualifications. The leader of research subject of Zhanjiang Science and Technology Bureau, The Efficacy Correlation between Recombinant Human Endostatin and GSTP1 Mononucleotide Polymorphism of Advanced Non-Small Cell Lung Cancer.